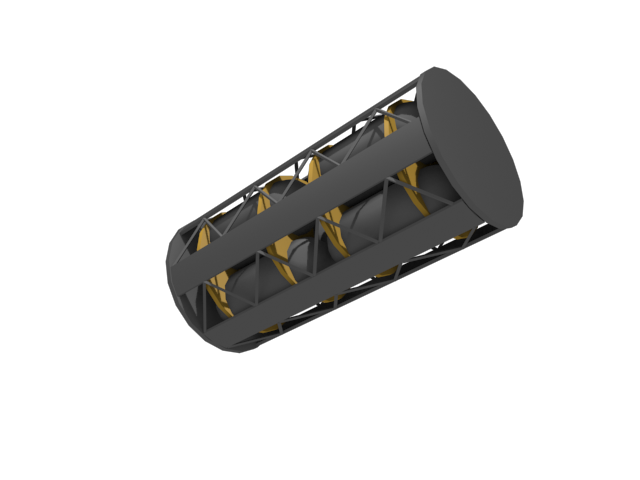 This thread is for what I'm working on right now, which is a far future technologies pack covering advanced propulsion. The current testing release is version 0.3.1 for KSP 1.5.1 (Nov 19 2018). You can download it here. These are beautiful parts and I'd love to see them ingame! How about making the orange pipes on the reactors yellow, to match with the aesthetics of the engine? And maybe a fancy xenon tank too? Thanks! I have those pipes as copper toned for now as I tend to associate that with heat sinks (looks at GPU), but I'll probably play around with colours later when I texture them. I actually have made a new xenon tank, but it's not cool enough yet. It's about the size of the FLT-400, and based on some odd combination of the radial and inline stock xenon tanks. I expect it would look a lot better if textured. 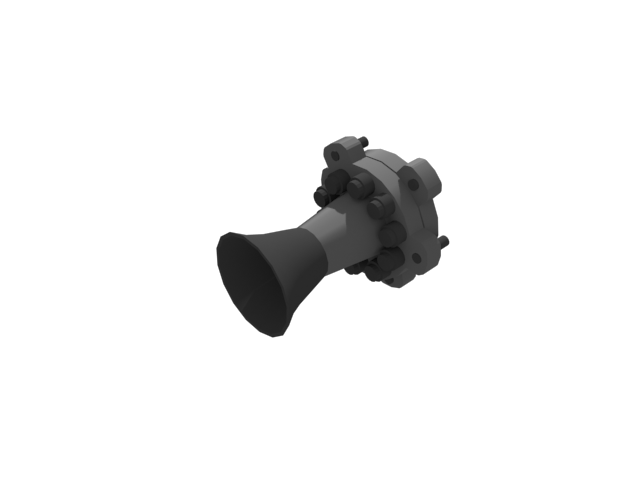 I am enjoying making these engines though, so I made a magnetoplasmodynamic thruster based on the MIT designs. 0.65m size category. 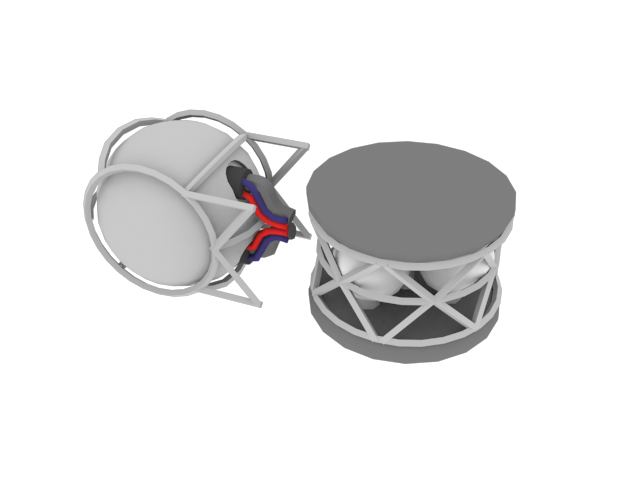 Additionally, a larger version, which is more of my own design with a few common features, for the 1.25m size. These two use lithium optimally as a fuel, but I think MPDT designs have been tested with xenon, so it would be fine ingame ( ). These have about the same theoretical Isp as the 200kW VASIMR, but about 10x the thrust. The power consumption, however, is expected to be upwards of 5000kW, which is pretty ridiculous without a powerful reactor of some type. I like those parts too They do look 'natural', and not many modders remember to add radiators to their parts. Please, release this as a part pack. looks great. Please release as soon as possible. Ok, seems like there's some interest! I'll continue to unwrap and texture then, starting with the VASIMR and the xenon tank. First, here's the finished tank. Based on my guess that volumetrically, the tanks in are about 1.5x the PB-X50R tank, the xenon capacity will be about 4000, with a wet mass about 1.1. This puts it as somewhat worse than the small tanks fuel-weight wise, but saves on the part count and complexity. After some refinements and poly count reduction, the VASIMR is done too and ready to be unwrapped. 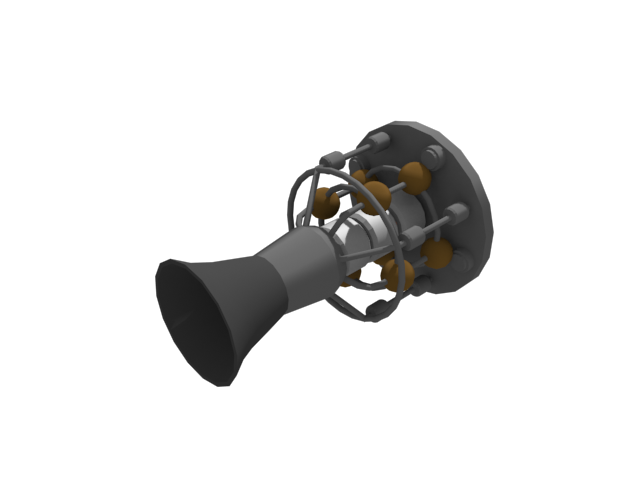 Thinking about stats,the KSP Hall effect thruster has 4200 Isp at 15 Ec/s, with a max thrust of 0.5 kN. A real-world Hall thruster might have 2000 Isp at 1.5 kW, thrust 80 mN. 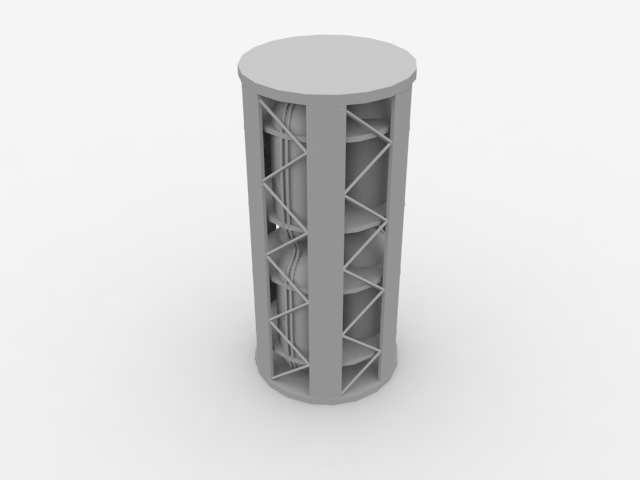 The VASIMR is around 5000 Isp at 200 kW with thrust of 5N. Based on that conversion, the VASIMR in KSP would have an Isp of 10,000, require 2000 Ec/s and generate 30 kN of thrust (half of an LV-N). That's a pretty crazy Isp-thrust ratio for the game, but might be reasonable, considering that you would need 110 Gigantors to run it all full power . Evidently the reactors, bigger batteries and some bigger solar arrays would be needed... I might say an Isp of 9,000, a power requirement of 800 Ec/s and an output of 10 kN might be more reasonable. Thoughts? Looks fantastic! I do hope you stick with this, and look forward to seeing where this goes! 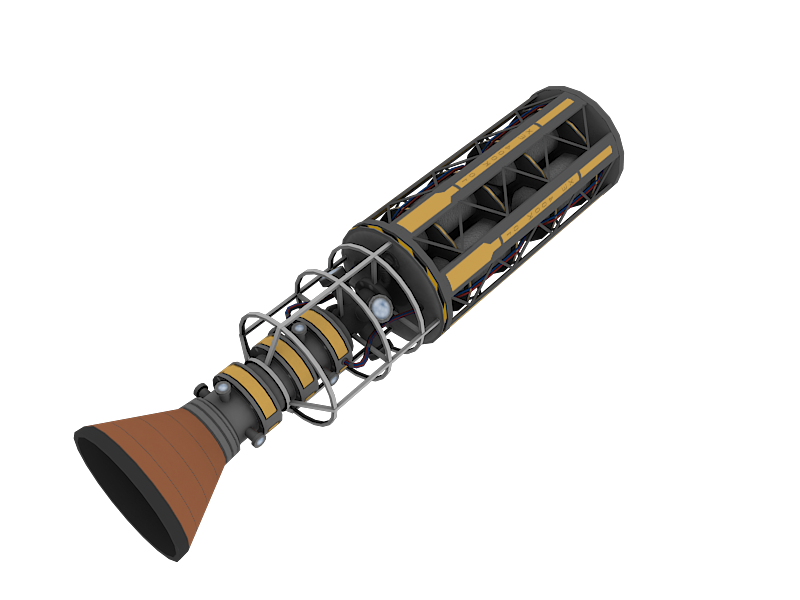 Reactors from KSP Interstellar can handle even 'realistic' VASIMR Don't hold back - add both! You might be surprised what people can build to make cool part work. An engine that needs to be run in bursts, with panicked recharges in between pulses? I'm game for that! Interplanetary ships that look like power plants, with batteries and panels and RTGs everywhere should be cool. finally, a reactor mod with good models. I was going to try to learn how to get stuff ingame, but the link to the part tools is currently broken, so I can't at the moment. Still, it made me unwrap and do a basic colour pass with these two - I'm reluctant to do more before I can see them beside the stock parts and make sure they fit in alright. I think it should work though, I took the palette from ion engine/xenon tank screencaps . I figure the blue toned areas on the engine will glow in operation like the stock thruster. I'm not sure whether it's possible, but I'd try to make the engine effect similar to this. They're both pretty self explanatory. As the heat animations are based purely on the animation they don't even require the engine to overheat to work so long as you ramp up the effect quickly. 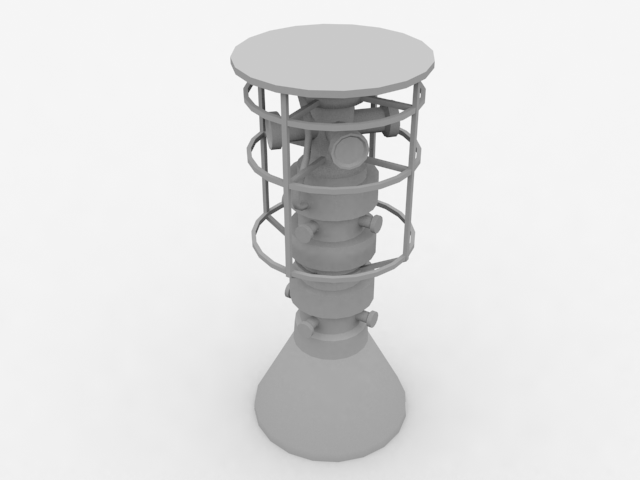 The glowing engine ports should be easily done. There's no way to do a pretty engine effect like that using particles but I think playing around with a transparent mesh and the animation modules might work out. I've tried it myself, but it doesn't work so well for conventional exhausts as they need some actual volume. Oh yes, that looks very nice. Would love to see how the reactor would look stuck on there too, to complete the engine assembly. That is one nice looking paint job! OMG! This is awesome! Thx for your work, Nertea, I'll definetry grab this asap! OMG! This is even more awesome than Fatman series! Thx for your work, Kommitz, I'll definetry grab this asap! WOW man/woman these look great! Oh, shame on my absent-mindedness! T_T Of corse thx go to Nertea for VASIMR, but yours nervas cool too ^o^ I'll fix my previous message right now. What about creating one or several conic exhaust meshes with transparent textures and animate it with blue glow as a regular engine glowing? These look like they will be great, will use on lots of ships. A lovely design and texture! Perhaps a silly question but what use has the enginecone? Does it still have an effect at an isp of 9000? I think I finally found replacement for the good old Z-pinch fusion engines! So... You are not planning to release a decent 3,75m or 2,5m size version of VASIMR by any chance, are you? Its official! So MrTheBull, just start every rocket and make it a simple cylinder, 1 week later (at most) someone will start working on a proper version! This is quite a compliment considering that Kommitz's WIP thread is what inspired me to do these in the first place! I'm not sure really. It seems to appear on all the conceptual diagrams and the ISS-mounted mockup, so I suspect it has some type of use, even if it's just shielding the engine components. Not really at the moment. I like each thing I make to be relatively unique-looking, so a 2.5m part would take some redesigning and unwrapping. I hate unwrapping . But, the technology is apparently scaleable, so something like that might be a future project! I've got all the models done for these, they just need unwrapping and texturing. -edit: I forgot a new picture! Small (1000 units) inline and radial xenon tanks.